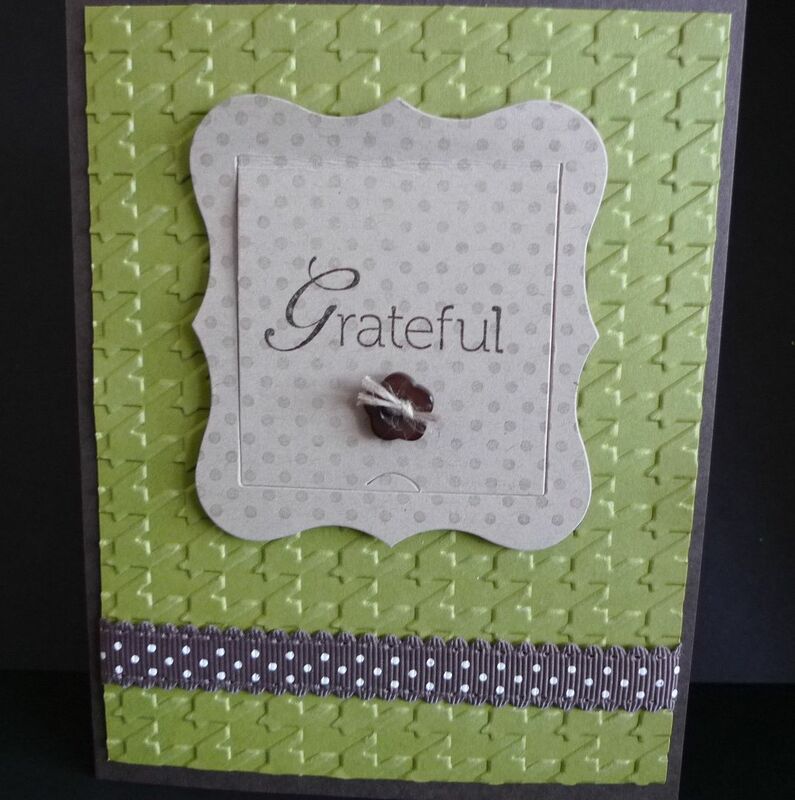 Karina's Kreations: Always Thankful Card! The count down continues and I have another sneak peak for you today. 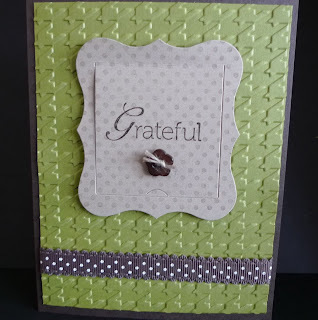 I used the new stamp set Always Thankful on my card. I stamped the image with Jet Black StazOn ink #101406 $10.50 on Watercolor paper #122959 $5.95 and colored it in with Watercolor Crayons #119804 & #119805 $ 21.95 and an Aqua Painter #103954 $20.95. 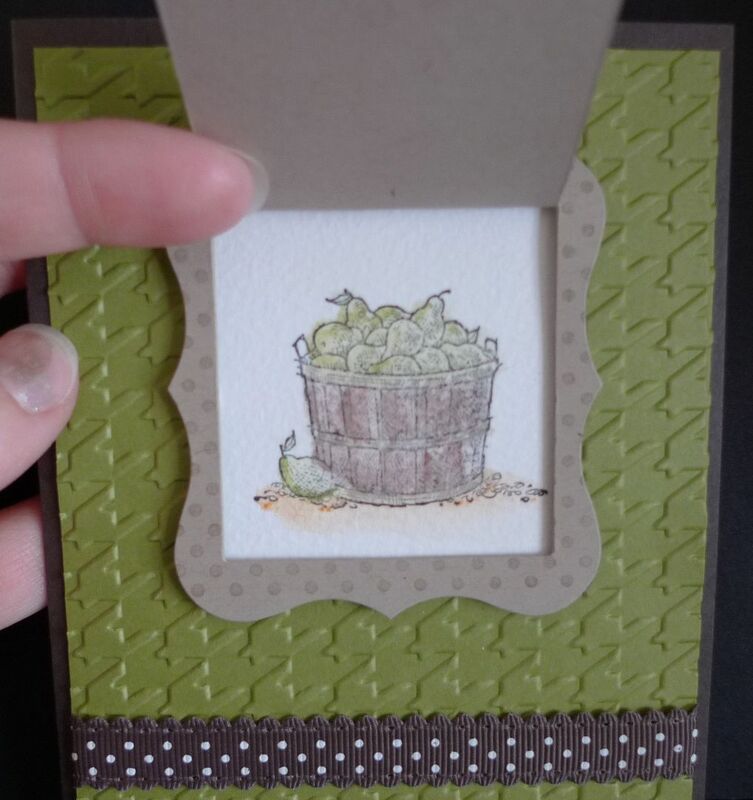 The card stock colors are Early Espresso, Old Olive, & Crumb Cake. Do you love the Frame? It's the new Peekaboo Frames Bigz Xl die in the Holiday Mini Catalog. It's really fun & easy to use. The other accessories are the Houndstooth Textured Impressions Embossing Folder #123134 $9.95 and Chocolate Chip 12" Scallop Dots Ribbon #124142 $10.95.